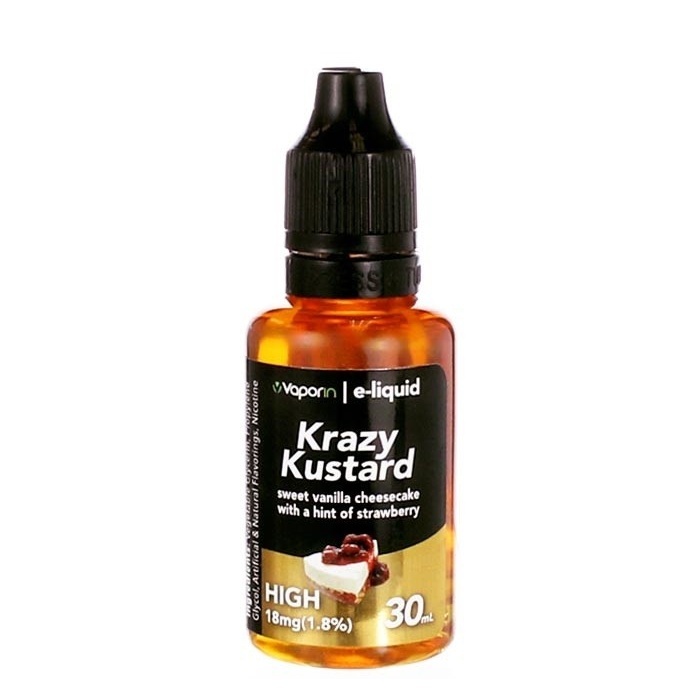 Krazy Kustard is a delicious sweet vanilla cheesecake flavored vape juice with hints of strawberry. I suggest everyone try this one very good flavor and cheap too. This blend of a vanilla cheesecake with a hint of strawberry is a really smooth and great tasting e-juice. And smells fantastic also. Great all around e-juice ! Great flavor and very smooth. Anybody that loves kustards and cheesecake with strawberries will absolutely love this Krazy Kustard !!! 26th May 2017 - James S.